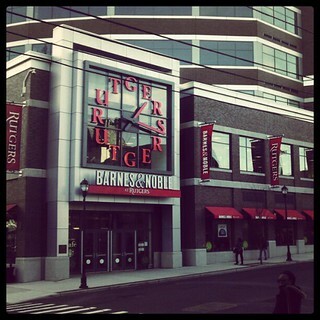 While you are a student at Rutgers there is also an opportunity to get out and experience something new. The great thing about being in New Brunswick is that one can easily get to a number of towns and cities using public transport. Princeton is very easy to get too and is a great town to visit. Not just for the University but the town itself. Its a great afternoon excursion. Philadelphia is my favorite historical American city. You can take NJ Transit Train and then the Septa to get to Philadelphia. There are so many things to do in Philly that I keep on going back. Historic Philadelphia is a great experience. The art museum is great and the Rocky statue is just a bonus. There is a lot more than I have listed on here but once you start looking at either TravelAdvisor or WikiTravel you’ll have a lot to choose from. For graduate students, especially those in the sciences who collect a large quantity of data, having a reliable backup source is very important. Furthermore, having access to the data from multiple places makes it easier to complete some tasks. As we conduct our research, apply our hypothesis, and run simulations, we tend to collect this data and may want to keep it for analysis later. We have gone through multiple types of storage media (Floppy Disks, CDs/DVDs, USB Drives) in the last 2 decades. With each and every one of them there have been advantages and disadvantages. We also had to carry around the storage media and there was always a possibility of the data being corrupted and in some cases unrecoverable. In this post I want to go through 2 cloud storage options a graduate student could encounter and my thoughts on their use. I have found that some students don’t know how cloud storage can benefit them and once they start using it they find it an essential part of their workflow. Dropbox has been a personal favorite of mine for the last 3 or so years. Dropbox is an easy to use cloud storage solution. You setup an account on their website, install their application on whichever platform you use and then you can drop files in the Dropbox Folder and it will sync. Syncing here means that all the places you have installed Dropbox will update their files as you save changes to them. So if you have Dropbox installed on 2 computers, your lab computer and your laptop, and you make and save a change on a file on your laptop, in a few seconds the change will be reflected on your lab computer. Google Docs started as a document creation tool that is completely online. 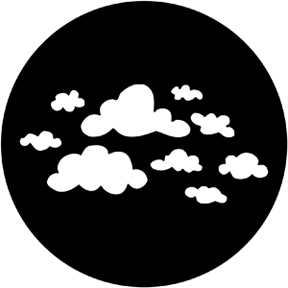 Through time it has evolved into an online storage, creation and collaboration tool. With Google Docs you can create documents, share them with others as well as collaborate on document creation itself too. You can create documents, spreadsheets, presentations, forms etc. You can also import documents you have created elsewhere into the Google format as well as download the documents in a format that you can open in applications on your computer. In April Google relaunched Docs as Google Drive. It now has the same capability as Dropbox, in that you can now sync local documents across computers and share them. Collaboration is the major differentiating feature. Personal tips about the services: When evaluating if the application will be something I use regularly I check if the application has multiple access options. For me having access to my files on a phone, tablet or web is great as I can then open important documents wherever I am. I also store notes that I sometimes create while in transit. TEDxRutgers 2012 has come and gone (Website). I thought I should put my thoughts up about the event. I was one of the organizers of this and last year’s event. I take events like these as great opportunities to get to know and work with other students around the university. There are always so many things going on at Rutgers on any given day during the semester. Just check the GetInvolved website for the very long list. Given this great number of things to do, students have a large variety of activities to choose from. My advice is to actually choose something and go with it instead of being overwhelmed by choice. The experience, outside my day to day research, is refreshing and rewarding. You get to meet new people who are not in your discipline, share ideas and potential collaborations in things you had never thought of before. TEDxRutgers was, for me, one of those rewarding experiences. I started off in 2010 just as an attendee at the first one. The event was and still is run mostly but our great undergraduate students but I saw an opportunity to bring in some of my experience and joined the team as an organizer in 2012. The speakers in 2012 were from diverse backgrounds from in, around and outside the university. You can read more about the speakers here. We had students, faculty and performers. My main responsibility was management of the website as well as all of the social media. I have a large interest in social media, especially as it pertains to mining data. Aside: Always be on the lookout for the opportunity to attend some of the Network Science/Social Media seminars/talks hosted at the Department of Computer Science or School of Communication. We had a great campaign for the event. Growing the Facebook page to 600 fans and having a reach (potential people who saw our posts on Facebook) of close to 15,000. Twitter was even better with a reach of close to 32,000 people. Below is a snapshot of the traffic generated on Twitter on the day of the event. The only thing I think is heavily missing from the events is more participation of graduate students. Not only as organizers but also as attendees. It really is just a day out of the year but I believe we as grad students have so much to offer given our diverse experiences and the fields we work in.